Angel Jaeger is Eren's dear little sister, and he would do anything to protect her, but it may just be impossible in the reality they live in. Titans are destroying their world and- no matter how much they try to rebuild their lives- everything is slowly crumbling apart. Through all the hardships, sacrifices must be made. Many have laid down their lives for a cause, and despite others trying to protect her from sacrifice, Angel is determined to do her part. And she won't let anyone stop her from doing so. Attack on Titan/Shingeki no Kyojin does NOT belong to me. Only Angel belongs to me. Everything else, including pictures, belong to their rightful owners. Ammy Jaeger had all ways dreamed of going outside the wall with her brother, Eren, her adopted sister, Mikasa , and their friend, Armin until the colossal one appeared. . . Warning: This story goes by the episodes within the tv and manga, this will contain spoilers. If you complain there are spoilers I will mute you. More than 100 years ago, humans were brought to the brink of extinction at the hand of the Titans, almost overnight. What remains of humanity now resides within three enormous concentric walls: the outermost is Wall Maria, the middle wall is Wall Rose  and the innermost is Wall Sina. While most people stay hidden within the walls there are some who venture out into Titan territory to try reclaim the land, they are known as the Survey Corps. One member in this elite squad, under the command of Captain Levi, is Kaminari Moriko. Kaminari is special in more ways than one. Besides being apart of the Special Operations Squad for her skill, she has a secret that only a few people know of and one of those being the captain himself. "The bond that links your true family is not one of blood, but of respect and joy in each other's life." Nanami Akiyama could not thing of a more true statement. Her bloodline doesn't define her family; their are others who fit the role of family better. Especially when the only family by blood she has could not be more distant. Years after Levi is born his father has another child! So what happens when Levi finds his sister Livi? Lena Arima, a strong, stoic and kind soldier who always stand on the top without trying, without doing any effort. With her two friends Miku Tadaki, and Lou Okude, the three of them strive to go to the outside world, a sight that they have never seen before. The three of them climbs their way towards the top, wanting to achieve that dream so much, the desire to achieve that dream scared the people, the strength of them that everyone feared, and their kindness that everyone admired. Survey Corps, a legion where you'll visit the outside world, retaking abandoned structures, and kill all the titans. What happens if she meets her brother on the way? Who knew that she was secretively Levi Ackermann's little sister? Hellooooooo! 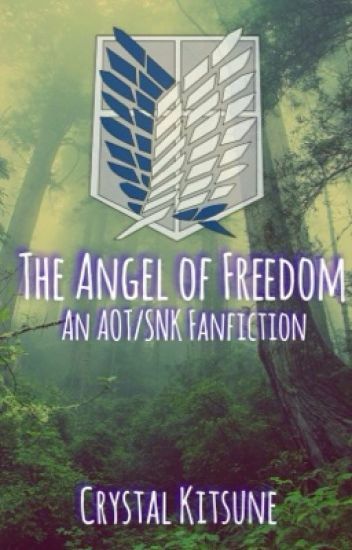 I decided to make an Attack on Titan Fanfiction! Because I was boreddddddd, I am very sorry for the description because I can't even think of a thing! Sooooo Enjoyyyyy!!! I do not own Attack on Titan! Asra and Levi are siblings and the strongest in the underground. Find out what happens as the story progresses, I do not own the characters of Shingeki no Kyojin but I do own my characters. For all I know, my sister is dead. ... But, I didn't know that she was just right by my side. ... Why did she hide behind my back? ... Why did she change her surname? ... Is it my fault? This is only a sequel to Levi's Little Sister, where they watch the first book and the future. Hope you guys will like this. "We're trapped like pigs to the slaughter in these walls. Forsaken by God for disobeying his great laws of life—his chaste commandments." Aoife Callaghan and her father, Liam Callaghan are all that remains of their family after Wall Maria was breached and Titans rushed in; harvesting and devouring as many lives as they could get their massive, grimy hands on. It was on that very day that Aoife learned that there was no dream she so wanted more fulfilled than the disappearance of the wretched giants—vowing the rest of her life toward learning the proper fighting skills required to take down such creatures. Will she prevail and make her mark on the ranks of the Titans or will she fail and fall to them like her mother and eldest brother? "Your strength will come when you need it most. Whether that strength be through words or through brute force; it will come. A tree might lose its leaves, but each Spring, they bloom anew. In your life, there will be good times and bad times; however, it is your decision upon which will affect your mentality the most, Aoife." Tears slipped past my eyes as I gently touched his cheek, "I just wish 'forever' were a word that could have belonged to us"
This is the story of a young woman, who against all odds rose to become one of Humanity's most valued soldiers within the Survey Corps. A young woman with a warrior soul, but a poet's heart. Who amongst so much chaos found hope and love, and yet lost twice as much. This is a story of her struggles to keep her loved ones safe and sound. This is the story of the rise and fall of Alenka Arlert. Disclaimer: I don't own Attack on Titan/Shingeki no Kyojin, or anything you may recognize. That belongs to their rightful owner.I only own my OC(s) and the random idea of adding an extra character. Art used is not my own, credits to the owner, Mukimuki Mayuge. Iris Jacobs is a girl who witnessed the horrors the day Wall Maria fell. She struggles to prove herself and gain respect for her and her companion: her dog Fala, as she hopes to join the Scout Regiment. Iris must try her best to reach her goal, and kill as many titans as possible along the way, maybe even meet and befriend people she never thought she would.